A perfect children's fine jewelry gift for any occasion. 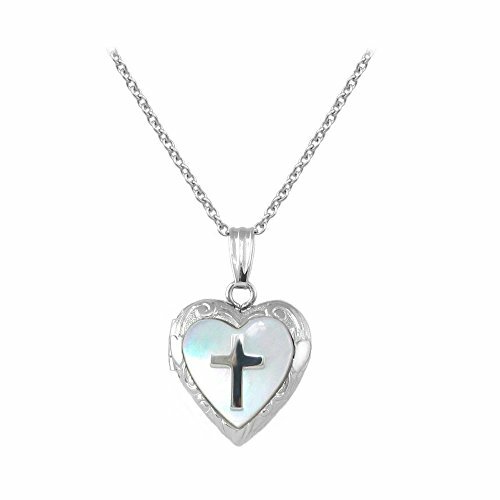 This elegant sterling silver framed heart shaped locket necklace features a sterling silver cross set against a mother-of-pearl backdrop. The locket is on a 15 inch curb link chain and has an interior frame to place a special keepsake or photo. 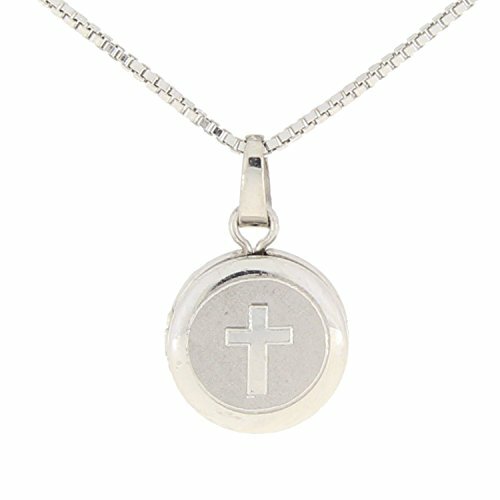 Sterling Silver Locket with a Cross on the front. The Locket is .8 mm across and has room for 2 picutres on the inside. 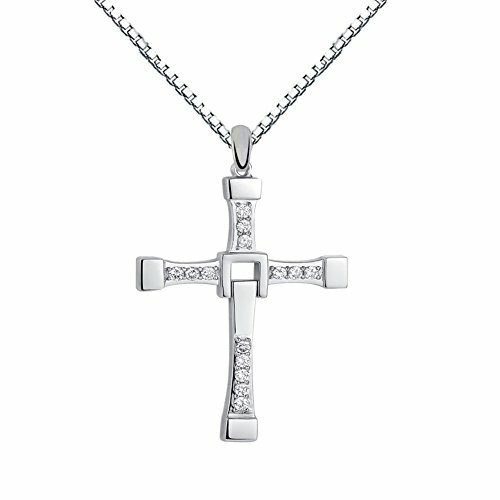 It is held around your neck with a sturdy box chain with a spring ring clasp. 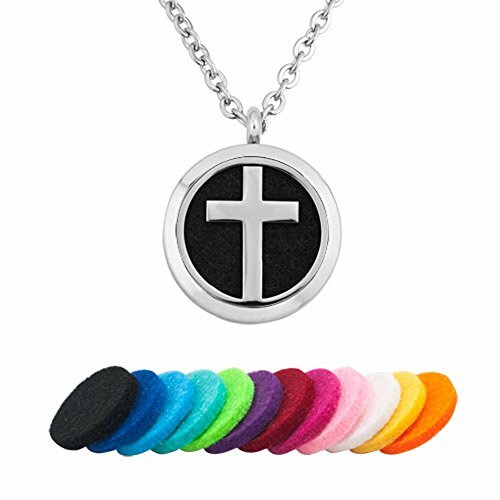 Photo Locket Cross Heart Religious Pendant Necklace Remembrance 19"
A gift from the heart, this beautiful religious heart locket is a cute gift that is sure to take her breath away. 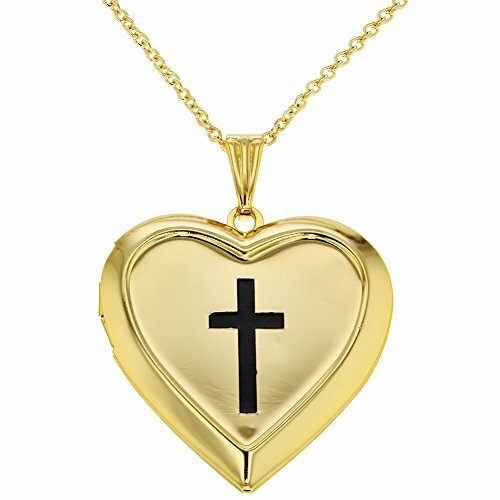 This heart shaped locket has a polished finished heart with a cross engraved on the front. 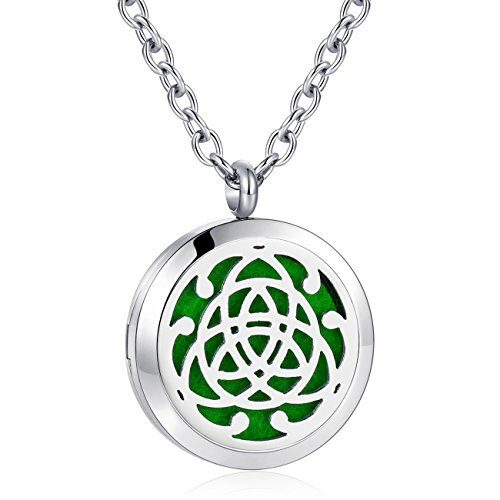 This picture locket can hold two photos and makes an amazing religious necklace. 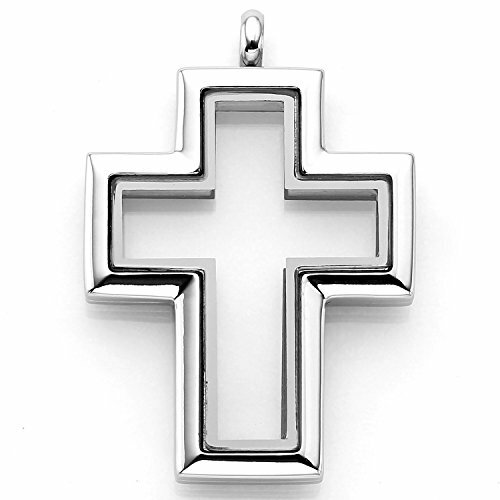 Great gift for Christmas, Valentines Day or Religious Moments. A 19 inch chain is also included. 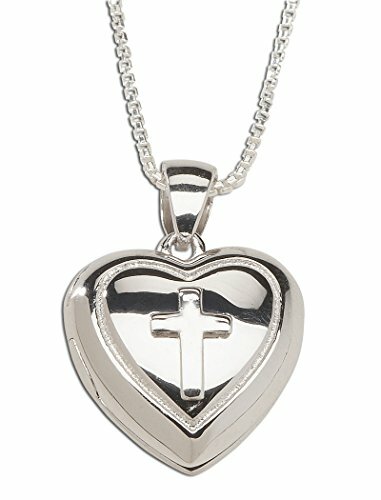 Sterling Silver 12MM Cross Heart Locket Pendant Necklace, 18"